Celtic Knot Charms | Celtic Knot Pendants | Celtic Knot Jewelry -- Celtic Knot Symbolism - Celtic knot symbols date back to around 450 AD and richly characterize Celtic art and tradition. There is a common folklore that each knot has a specific meaning. The problem with this idea is that there are no facts to back it up. There is no Rosetta Stone or reliable dictionary of knots. A general symbolism of Celtic interlace can be expressed as representing the repeated crossings of the Spiritual and Physical Paths in our lives. For many, Celtic Knots represent Eternity -- the Eternity of Life, the Eternity of Nature, and the Eternity of Love, Never-ending. > You can Customize this item into a Celtic Necklace -- Choose from : Charm-Pendant Only, or on a 16-inch or 18-inch Necklace Chain (see last picture for current chain style). 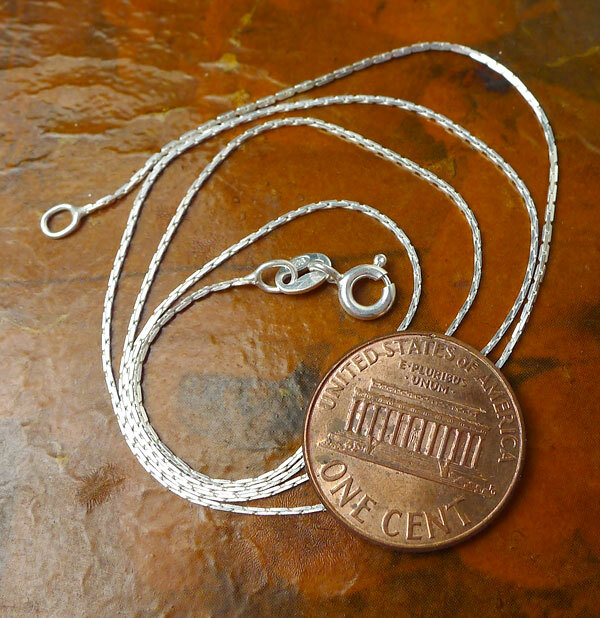 When Selecting on a SS Chain, Your Sterling Silver Celtic Knot Necklace will come Boxed. This Charm-Pendant is made from Solid 92.5 Sterling Silver. Real Sterling NEVER contains nickel or lead. Our charms, pendants, earrings and findings listed as Sterling Silver in this shoppe are NOT silver plated or silver filled; they are NOT silver plated, or 'silver colored', 'antique silver' or sterling silver plated -- that is just plain confusing!